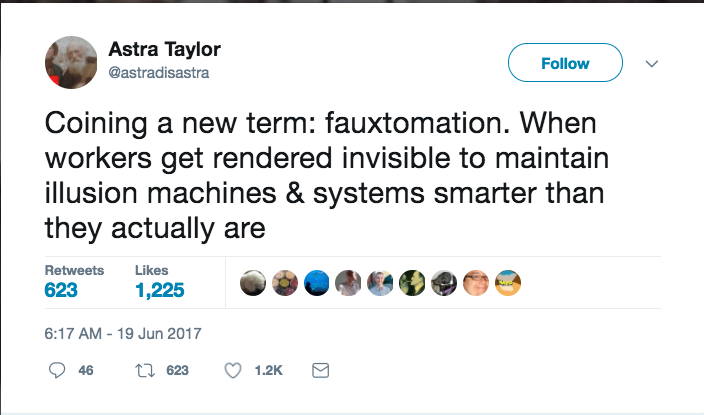 This new word hit the zeitgeist on June 19, 2017 thanks to @astradisastra. The next day, Mel Healy wrote a smart essay about Fauxtomation and the Mechanical Turk. For all their tech, many leading tech firms nowadays may be rather more “hi-Turk”, relying on cheap labour to do the day-to-day maintenance and moderation of their social media. Like the Mechanical Turk’s operator these people are largely hidden away inside big boxes, only this time the boxes are on the opposite side of the planet, in India or the Philippines. Vast armies of invisible workers in underdeveloped countries. Each box is decidedly unglamorous compared with the shiny new HQs and campuses of Silicon Valley in California or Google Docks in Dublin. You won’t find any fancy games rooms and lavish staff restaurants, or “micro kitchens”, chillout zones, fitness centres, swimming pools, wellness areas, tech stops or phone booths. June 23, 2017, Shira Ovide wrote about the army of workers needed to bring you Amazon's one-click convenience. 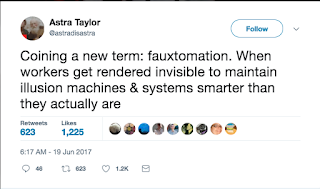 Fauxtomation is the word that crystalizes why I feel so angry about gushing articles like this about places like Eatsa, a restaurant that supposedly serves vegetarian food made by robots. Customers tap their meal selections on an iPad or their smartphone and pay electronically. No cash is taken here. Then when the order is ready, hands slide the meal into a “cubby,” which lights up with the customer’s name. The plan is for it to be ready in less than minutes from the time the order is placed. Silicon Valley reinvented the automat. But--most insidiously--this time, they are selling a guilt-free low-cost experience by pretending that a low-paid human did not make the food. Eatsa is the brainchild of Scott Drummond, a techie focused on data-driven results. 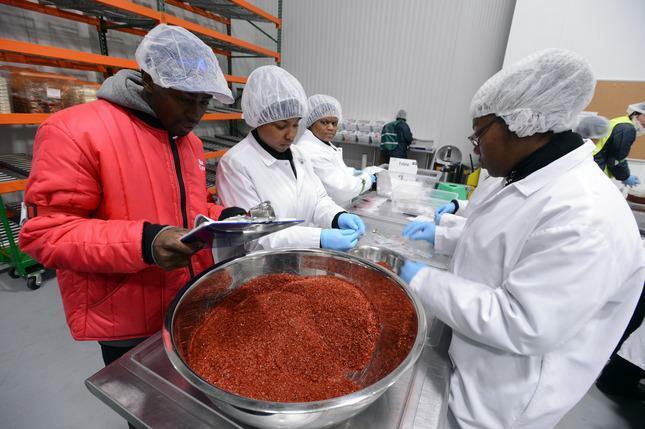 He says forgoing meat, along with staff, helps keep the cost of goods down. Drummond is all about the data science and other buzz words/phrases such as “enhanced predictive and personal health engagement.” But can robots prepare these meals? If so, what a breakthrough in robotics! How the kitchen will hold up remains to be seen. For now, at least, it relies on human components: about five employees involved in prepping, assembling, and expediting behind the store’s façade. The dirty secret finally comes out, there are people hiding in the mechanical Turks. Even then, he obfuscates further by invoking the glamour of warfare and robotics. You betcha that a robotics expert is not the guy making your $7 lunch in San Francisco. Wonkblog explains the crisis in restaurant staffing, particularly in high cost areas such as SF-SV. And don't even get me started on Blue Apron's unsafe working conditions necessary to bring us cheap, home-cooked meals. Food, like clothing, is not going to be cheap and fast unless we sacrifice some people. Are we willing to confront those choices head-on? The Washington Post reports that shipping costs account take up 30% of the price of Blue Apron meals. It's a big driver in why BA squeezes their kitchen staff to work at unsafe speeds or to work off the clock without pay. I apologize to not responding to comments earlier. I had previously turned on comment moderation for posts older than 14 days in an attempt to control comment spam. But, I had not realized that applies even to past frequent commenters that I want to hear from. It wasn't a problem when I posted frequently because I saw the comments awaiting moderation when I logged into Blogger. Oops. I went 3 months without posting or noticing comments awaiting replies/answers to questions. If you left a comment in limbo, I published and replied to them all. Sorry and I set up email notifications of comments awaiting moderation so this doesn't happen again. Last week when my daughter and I were grocery shopping, she recalled the story about how I boycotted grapes for a decade* and asked if it was ok to buy them now. I said yes with the caveat that we would buy only what we would really eat. We were not going to let any rot in the fridge. Do you remember when grapes were stupidly cheap? Stores used to advertise them for $.10 or $.15 per pound! 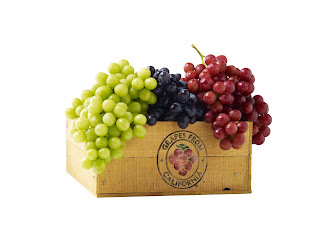 I think that today's $2/pound for California grapes (hauled hundreds of miles to Colorado) is still crazy cheap. Grapes--like all produce--is stupidly cheap because we treat farm workers as disposable people. It routinely reaches 110F (43C) at harvest time in the San Joaquin Valley. Grape pickers work 10-12 hours a day in the searing heat to bring the harvest in on time. Look at this list of farmworkers that died 2004-2008. They are still dying. Three people died in two days in 2016, including Maria Isabel Vasquez Jimenez. It's not just grape pickers. When a farm worker at Giumarra Vineyards, the largest table grape grower in the country, died of heat in 2004, the United Farm Workers union (UFW) began a campaign to end heat deaths. Since California issued its 2005 regulations to keep farm workers from dying of extreme heat, however, preventable farm worker deaths have continued to occur. Fortunately, the UFW has a remedy. It has sponsored two bills — the Humane Treatment for Farm Workers Act (AB 2676), sponsored by Assembly member Charles Calderon, and the Farm Worker Safety Act (AB 2346), sponsored by Assembly member Betsy Butler — that will allow farm workers to protect themselves. BTW, the bill was vetoed by Governor Brown on the grounds that existing laws were sufficient. It's hard to see this legal outcome (40 hours community service, 3 years probation and a $370 fine for killing someone) and agree with him. As a matter of conscience (and consistency), I think that the laws against mistreating humans should be as strong as the laws against mistreating animals. Driving down Interstate 5, I notice shelters for shade near workers and the occasional chair with an overhead mister for cooling. Farms located where people are watching probably put on a better show. Perhaps, in the era of personal drones, we can make it harder for farmers and contractors everywhere to evade laws. I'm heartened by the people who see an opportunity to make working conditions better and scale up. Check out Garth Patterson's $20,000 portable cooling station that can cool down 12 people at once. Where there's a problem, there's an opportunity! 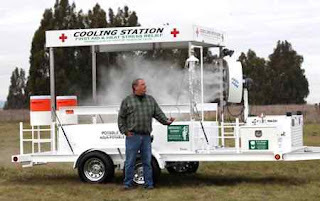 Garth Patterson with his portable cooling station. Photo courtesy of AP via ChicoER. I'm also heartened by the public pressure that is forcing Cal-OSHA to do their job in protecting farm workers from heat stress. Heat deaths are not the only problem. Heat stress can lead to kidney failure. Think about the cost of dialysis and disability payments. Think about disposable people. What do you think the true cost of grapes ought to be? * When I was a member of a Berkeley Student Cooperative, a member came to house council to ask why we never had any grapes in the kitchen. The kitchen manager explained that we subscribed to and followed the recommendations in the National Boycott Newsletter, which recommended boycotting grapes. Summer grapes came from California's central valley, where farmers were resisting farm workers' demands for better pay and working conditions. Winter grapes came from Chile, which was run by the brutal ruler, Pinochet. Damage to Chile's economy from boycotts might have helped push him out of power in 1988. I lost my blogging mojo after the November election. I wrote up a very angry post the day after the election. Decided to sleep on it before hitting post, and then decided to put it on hold for a while. I'm back with a mix of short and longer pieces, depending on mojo. 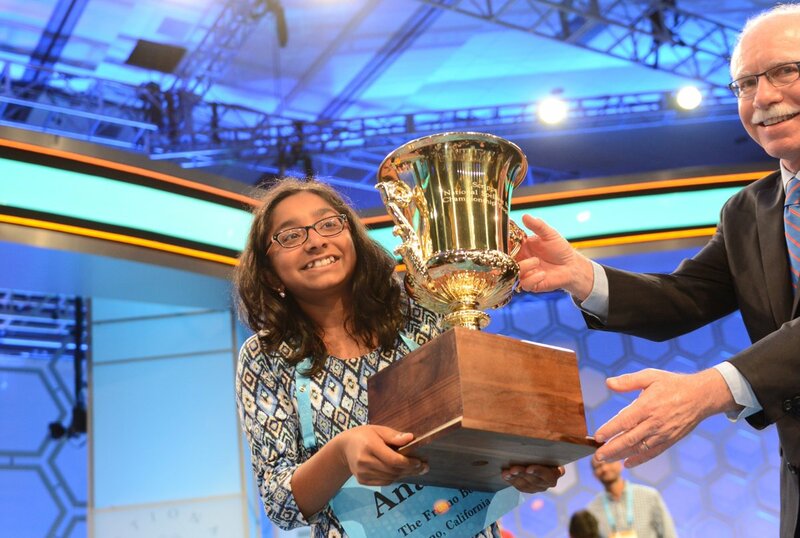 Can I say how how thrilled I am that Ananya Vinay won the National Spelling Bee by correctly spelling a fabric, Marocain? TBH (to be honest), until this week, I thought Marocain was a type of dress or coat. I didn't know it meant Moroccan crepe fabric. I would further like to point out that the social media star trolling Trump on Twitter is an UC Berkeley alumna, Lauren Naturale. The resistance is female--and Californian.